Oil on linen, 11200 x 200 cm. 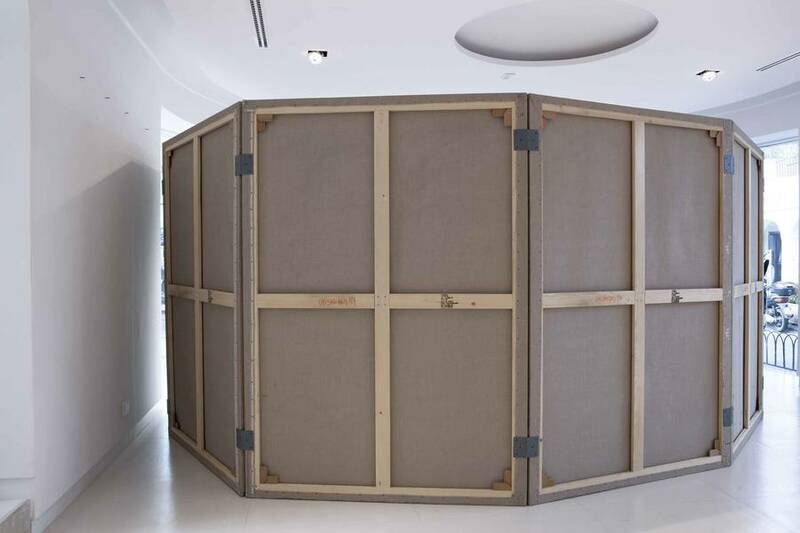 A single, large-scale work which occupies a secret, temporary room of 9 sq mt. Octagon Project - Inner Outside is an installation in which the visitor can enter the painting and be surrounded by an octagon of eight, enormous connected canvases. 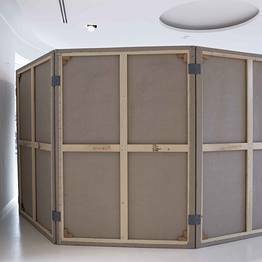 From the outside, the observer will see only the supports of the paintings, mounted on traditional wooden frames. 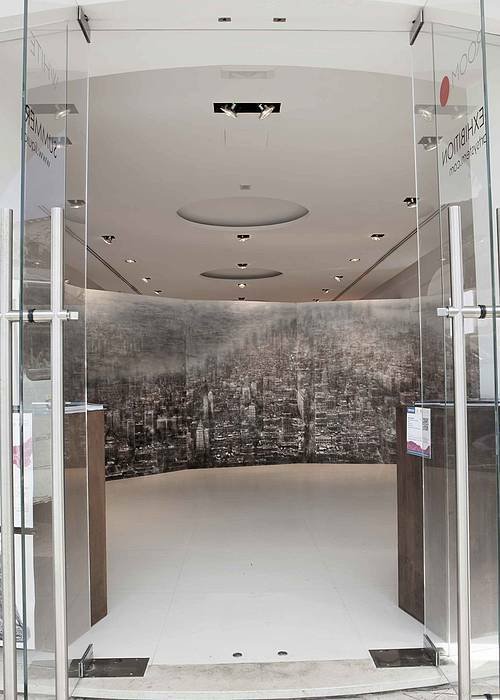 Moving inside, the viewer, however, will be projected into the towering landscape painting. The landscape is a grand 360° view over New York City, as seen from the Empire State Building. 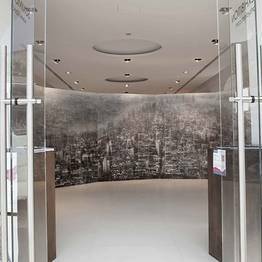 With this project, Sannino has been able to once again transform an idea of ancient origins in painting into something completely new, which interacts with any type of environment. The artist thus overcomes the limitations of the medium, breaking up the two-dimensionality of the canvas. Sannino transports the viewer into the painting through his vision of New York city, as if wearing virtual reality glasses. The painting becomes a tool for augmenting reality. Born in Naples in 1959. Young age he already shows an inclination for art. Such passion, genetically inherited, led him to further regular studies specialist in the footsteps of artists of our tradition. His most notable works are exhibited in galleries around the world and sought after by collectors and art enthusiasts. He currently works with Liquid Art System with locations in Capri e Positano. Sannino lives and works between Rome and Naples.